EUH Emergency Room entrance and Dr. Jon Pollock. The Division of General and GI Surgery's Acute and Critical Care Surgery (ACCS) service at Emory University Hospital (EUH) was implemented in July 2010 as a quality improvement effort for EUH's Emergency Department and a new rotation opportunity for general surgery residents. 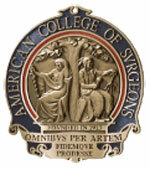 On the quality improvement level, the service is designed to improve response time to ED cases requiring surgery, enhance continuity of patient care, decrease hospital length-of-stay, standardize the clinical care pathways for the primary surgical needs presenting in the ED and streamline the interactions among the multi-disciplinary ED shifts of emergency medicine, hospital medicine and general surgery physicians and staff. Prior to implementation of the ACCS, acute and emergent surgery needs in the EUH ED were the responsibility of one general surgeon who was on-call 24/7. 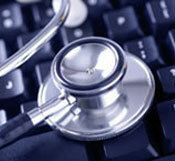 Unfortunately, the surgeon's call also overlapped with his or her Emory Clinic schedule and/or blocked OR time. The ACCS, however, is overseen and directed by a primary, faculty attending — currently Dr. Jonathan Pollock, an Emory alumnus — who is assisted by a resident team. In addition to being immediately available to perform incoming patient evaluations and procedures, Dr. Pollock and his team make daily rounds, do patient follow-ups and staff an official ACCS clinic once a week. This standardized, more stable system has maximized efficiency, reduced patient wait times for procedures, demonstrated shorter ED length-of-stays, lessened the 30-day readmission rate and improved resident supervision. Quality Program in-house surveys of ED and hospital medicine professional staff also indicate improved perceptions of the surgical management of ED patients. For our general surgery residents, who also rotate through the Level I Trauma Center and Burn Unit at Grady Memorial Hospital, the ACCS rotation gives an additional opportunity to work in the OR treating time-sensitive, acute emergency cases and to be involved with the management of those cases post-procedure. According to recent EUH data, the top five most common conditions presenting at the ED are appendicitis, diverticulitis, cholelithiasis/cholecystitis, intestinal obstruction and hernia. On those weeks that Dr. Pollock must meet clinical responsibilities outside of the ACCS, another general surgery faculty surgeon takes over as primary attending. When Dr. Pollock leaves Emory in late 2011 to begin laying the foundation for the Department of Surgery’s Global Surgery Initiative in Ethiopia, Dr. Carla Haack, a current chief resident who will join our faculty in July 2011, will assume Dr. Pollock’s administrative and clinical duties. Five members of the Surgery Research Administration Team have attained certification in Research Administration at Emory (cRAE), which is evidence of their individual skill levels as well as their dedication to their work and the Department of Surgery’s research mission. Congratulations to Lisa Carlson, Director of Academic Programs and Administration; Amy Hartley, Associate Sponsored Projects Research Administrator, Pre-Award Team; Kristin Onken, Accountant, Post-Award Team; Blake Harrington, Business Manager, Post-Award Team; and Diane Rosen, Senior Accountant, Post-Award Team. While their combined track record clearly showed that this team was well versed in the myriad steps and requirements involved in submitting and maintaining grants and clinical trial proposals, this certification lends an official recognition and stamp of approval that attests to the quality of their experience and their awareness of all of the variables that must be observed and resolved for submissions and awards to be successful. A comprehensive and highly concentrated training program, the cRAE is designed to provide Emory research administration staff with the knowledge base required to meet their professional responsibilities. The process involves completing multiple online modules, attending three-days of classes as well as numerous other in-person trainings, and passing an online exam with a score of 80% or higher. The online modules include learning all pre-award requirements; studying the multiple offices involved in research administration at Emory; defining direct costs, facilities and administrative costs , and unallowable costs; understanding mandated accounting standards and cost accounting standards; use of the Cayuse 424 web-app (the Emory-mandated system for submitting the majority of federal grants); and so forth. Following certification, candidates must complete six hours of continuing education per year. 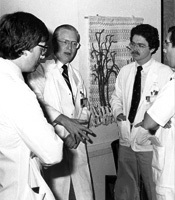 Dr. Harlan Stone at Grady (speaking, center), circa late 1970s. Carroll Mac Harmon, MD, PhD, the 11th Annual Gerald Zwiren Visiting Professor in Pediatric Surgery, will deliver "Pediatric Intestinal Failure: From Halifax to Fish Oil" at Surgical Grand Rounds, May 12, from 7:00 - 8:00 a.m. in the EUH Auditorium. 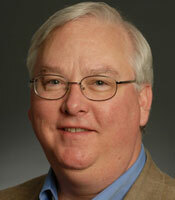 He will then deliver "Adolescent Bariatric Surgery: Still Controversial?" at the official Zwiren lecture on May 13 in Rooms 3, 4 and 5 of the Egleston Conference Center, 7:30 - 8:30 a.m.
Dr. Gerald Zwiren was Atlanta’s first pediatric surgeon. After receiving his MD and doing his surgical residency at the Medical College of Virginia, he became pediatric surgical pioneer Dr. Robert Gross’ 49th trainee at Boston Children’s Hospital. When he located to Atlanta in 1961 he proceeded to establish high standards for the surgical care of children through an extremely active clinical practice and by teaching medical students and surgical residents at Egleston and Grady hospitals, becoming an instrumental force in the development of Emory’s pediatric surgery fellowship. 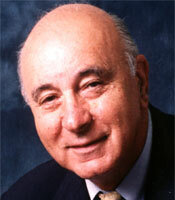 He retired from clinical practice in 1995 and passed away on March 22nd, 2002. The Sixth Annual H. Harlan Stone, MD, Lecture in Trauma will feature Juan A. Asensio, MD, who will speak on "Difficult Injuries and Difficult Problems in Trauma Surgery" at Surgical Grand Rounds, May 19, 7:00 - 8:00 a.m. in the EUH Auditorium. 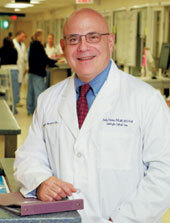 Dr. Asensio is affiliated with the University of Miami Miller School of Medicine, where he is Professor of Surgery, Division of Trauma Surgery and Surgical Critical Care; Director, Trauma Clinical Research, Training and Community Affairs; Director, Trauma Surgery and Surgical Critical Care Fellowship; Director International Visiting Scholars/Research Fellowship; and Medical Director for Education and Training, International Medicine Institute. Dr. Asensio obtained his medical degree from Rush Medical College and finished his surgical residency at Northwestern University. He then completed fellowships in trauma surgery and surgical critical care at the University of Texas Health Sciences Center and Parkland Memorial Hospital. An internationally recognized academic trauma surgeon, his main interests are cardiovascular, thoracic, and complex abdominal and peripheral vascular injuries. Also considered a leader in human rights activism and trauma prevention education, Dr. Asensio has received numerous national and international awards for his work and has been featured on CBS's "60 Minutes" and in a two-part series for the Discovery Health Channel. Dr. Harlan Stone received his MD at Emory, did his surgical residency at Grady Memorial Hospital and completed his pediatric surgery fellowship at the Hospital for Sick Children, University of London. He was then an Emory faculty member from 1962-1983, directing the Surgical Bacteriology Lab from 1963-1983, the Grady Burn Unit from from 1965-1983, and both Grady Pediatric Surgery and the Grady Trauma Service from 1968-1983. 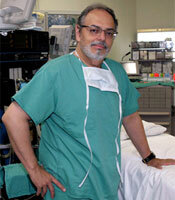 As a researcher he conducted a variety of high-profile burn studies and investigations of surgical infections. Along with Dr. Robert Smith, III, and the late Dr. Garland Perdue, he initiated efforts to develop an organ transplantation program at Emory in 1964. Dr. Stone left Emory to become Program Director of the Phoenix Integrated Surgical Residency, University of Arizona College of Medicine, and is now an Emeritus Professor of Surgery, Greenville Hospital System University Medical Center. Dr. Linda Cendales has been named a finalist in the innovation category of the Atlanta Business Chronicle's 14th Annual Healthcare Heroes Awards. The awards ceremony will be held on May 19 from 6:00-9:00 pm at the Cobb Energy Centre. Dr. Keith Delman has been appointed to the editorial boards of Annals of Surgical Oncology and the General Surgery Resident Curriculum Portal of the Surgical Council on Resident Education (SCORE), a consortium of ABS, ACS, ASA, SAGES and other US surgical organizations. The portal features modules on 300+ patient care and medical knowledge topics; excerpts from leading surgical textbooks; narrated operative videos; etc. Drs. Delman, Chris Larsen, Mandy Ford, Mike Lowe (PGY-4 general surgery resident), Rafi Ahmed and Sameer Patel have been awarded a Kennedy Seed Grant Research Award from the Winship Cancer Institute to fund their collaborative study "Analysis of Immune Phenotype and Functionality with Correlation to Survival in Patients with Malignant Melanoma." The group will receive $50,000 over two years to investigate the function and characteristics of T-lymphocytes in patients with melanoma, particularly comparing patients with recurrent disease to those who do not recur. Dr. Sheryl Gabram was featured on the April 25th edition of ABC World News with Diane Sawyer in a special report on the ability of dogs to sense cancer and other illnesses in humans. The report included coverage of a patient of Dr. Gabram's whose dog nudged and sniffed her right breast for 4 days before she finally went to be checked, discovering that she had stage-three cancer requiring surgery, chemotherapy and radiation. Dr. Gabram described her own ongoing study of volatile organic compounds in exhaled breath as a potential tool for breast cancer detection and monitoring. When the patient breathed into the tube used for the study, the test confirmed that she was sick. Dr. Gabram went on to say that cancer causes the body to release certain organic compounds that dogs can smell but people cannot. View the ABC video here. Dr. Joseph Ricotta was appointed editor of Annals of Vascular Surgery, which is published eight times a year and provides peer reviewed coverage of clinical and experimental work in vascular surgery. Dr. Gary Vercruysse received a $25,000 award from the Emory Medical Care Foundation to fund his study "Determination of Serum Vasopressin Levels and Correlation with Life-Threatening Complications in Adults with Severe Hemorrhagic Shock." 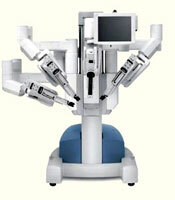 The study is scheduled to start in late Spring 2011. The foundation awards grants to support research by Emory faculty who are based at Grady Memorial Hospital at least 50% of the time.